In today’s competitive world, where every company is struggling to make their mark and generate profit, what is that one thing that sets a business apart from others? We believe its by providing great customer satisfaction through consistent delivery and responsiveness to customer inquiries and complaints. But how can companies provide superior customer service and strengthen a strong customer relationship without compromising on other operations? Cloudchoice in collaboration with Freshdesk promises clients efficient and simple customer support without investing much of their employees’ time in coordinating different aspects of CRM. Freshdesk is a culmination of unique services that provide different tools to redefine a company’s customer support. Freshdesk offers some inevitable features such as self-service portal, ticket automation, reporting and analytics, customization and multichannel helpdesks. Our Freshdesk Consultants helps enterprises or small businesses to track and monitor various levels of customer service concerns and issues and resolve them effectively through support across channels. But let us be clear. Just using freshdesk is not going to help solve all your customer relationship issues. Before you decide to choose any SaaS based solutions or CRM software to solve CRM issues ask these basic questions as a company: why customer service is important to your company? What are some of the areas within customer support where currently your company is experiencing issues? What is most important for your customers? The answers to these questions will channelize your customer support concerns which can be effectively be resolved by Freshdesk that we offer. As expert Freshdesk consultants, we also ensure that your company is able to make the most out of Freshdesk by ensuring continuous assistance from our associates as well as walking your company through every little detail of Freshdesk and customizing solutions unique to the problems identified by your company. Our aim is to deliver you the best customer support solution that Freshdesk has to offer for your company to succeed. Freshdesk automates a lot of the customer support functions including but not limited to ticketing, time and event triggered automation on specific tickets as well as automated email notifications on ticket status, all of which would otherwise be done manually by employees which would consume a lot of time and effort and might not result in ultimate customer satisfaction due to the lags. Therefore, Freshdesk provides solutions to reduce manual labor and speeds up processes while being effective. Customers are different and have different needs but they all need to receive consistent service from the company. Cloudchoice in collaboration with Freshdesk focuses on each customer need as unique and develops strategic solutions to deal with each need efficiently. Freshdesk is also easy to learn and our expert freshdesk consultants are always ready to assist with any and every need of our clients. Prior to working with Cloudchoice, the property management company was experiencing issues with lodging maintenance requests, work orders and other building related complaints as most of these were managed through emails. There was no accountability as manual records had to be maintained by employees and often these records got stuck between employees’ other pending assignments. Customers were unhappy as their issues were not being resolved instantaneously and some were experiencing discomfort due to long wait for maintenance requests. The company realized that they were experiencing customer support problems and decided to streamline the different issues that were causing customers to complain and decided to seek our help in improving their customer support system. 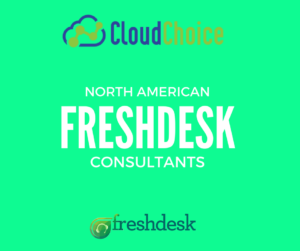 Once they met with Cloudchoice, they outlined their concerns and our team of Freshdesk consultants were able to develop a customized solution for them. After incorporation of Freshdesk, customers can now log in their work orders online, track its progress, deadline of completion and even provide feedback after the work order is completed. Management can track how each of their department is taking care of the various customer needs and supervisors can track how their associates are attending to customer needs all through Freshdesk. This promotes accountability within the company, between different departments as well as satisfies the tenants. Without the incorporation of Freshdesk, the real estate agency would be still struggling with their issues with manual recording and lack of accountability. Fortunately, we have been able to improve the customer support for many companies just like this real estate company by customizing CRM solutions to fit their specific customer support needs. As the largest reseller of Freshdesk in North America we pride ourselves in helping companies deliver superior customer satisfaction, which we consider as one of the most important means of retaining loyal customers and building a brand name. Are you an enterprise or a small business looking to transform your customer support? Look no further as we promise to assist you with nothing but the best options to evolve your customer support through freshdesk with the help of our expert freshdesk consultants. 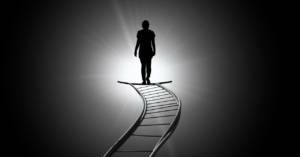 Don’t wait to be the game changer in your industry! Contact us today and let us help you further what you do best!